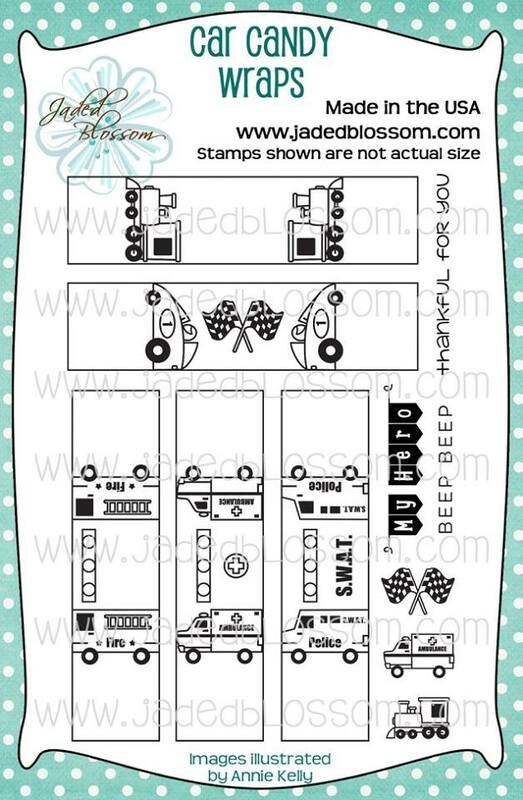 Doxie Mel Designs: Jaded Blossom June Release Blog Hop :: 1, 2, 3 Blast Off! 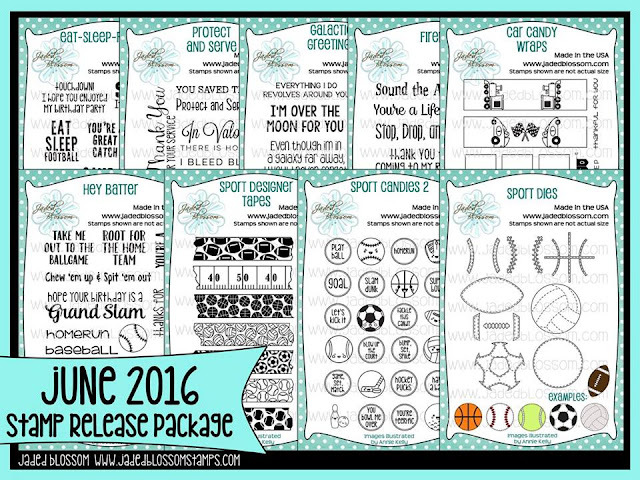 Jaded Blossom June Release Blog Hop :: 1, 2, 3 Blast Off! 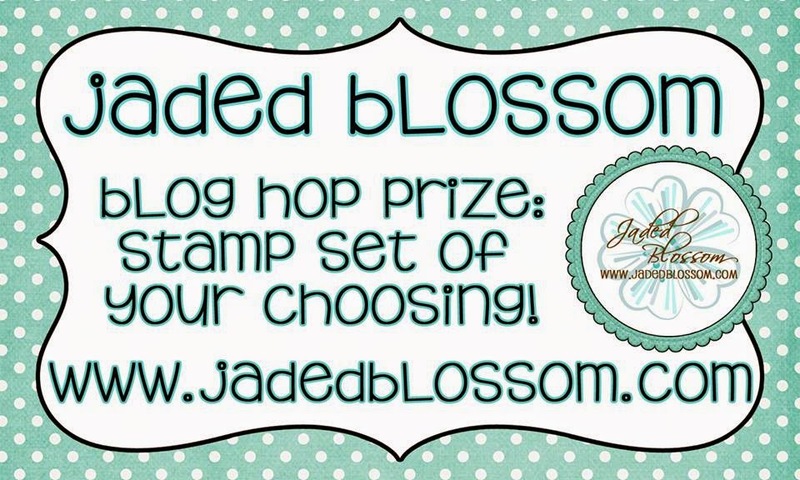 Welcome to Jaded Blossom's June 2016 Release Blog Hop. An Rocket Ship Treat Holder! I had such a fun time making this rocket ship! I used a new file from SVG Cutting Files, 3d Space Ship Box. 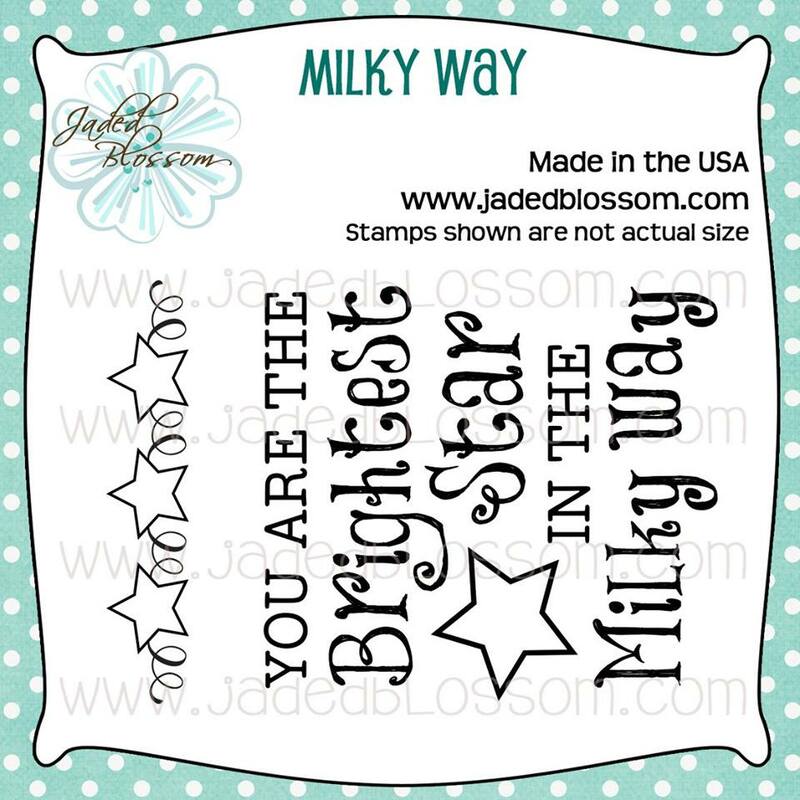 I used the NEW Galactic Stamps for the sentiments and added "exhaust" with Jaded Blossom Spring Dies 2. 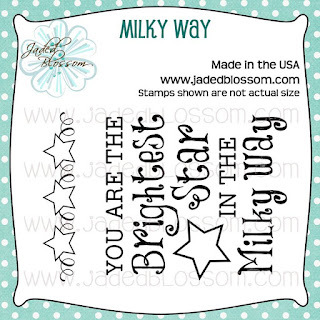 To give the project a more interest, die cut stars were added with Jaded Blossom Star Dies. To make the window, I used a stitched circle die and just put the die over pattern paper. This way I could frame the alien perfectly. Here is a peek inside the treat box filled with Atomic Fire Balls. YUM! 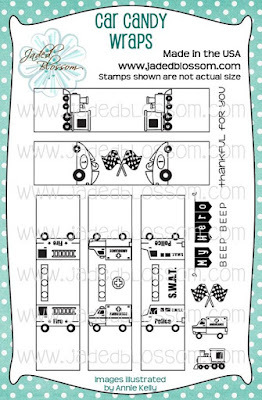 Pattern paper and stickers - Echo Park "That's My Boy"
orange paper for door, alien - Recollections "Monsters and Robots"
Free 3x4 Stamp for customers that spend $40 or more before Taxes and Shipping! FREEBIE is only available until Sunday 6/12, 11:59pm pst. What a fun project!!! Way too cute!!! That is one amazing rocket!! Awesome rocket treat box! Love that cute little smiling alien! 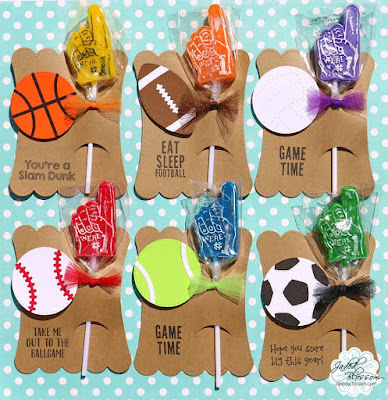 Super cute Rocket Treat Box ~ love all the detail!!! OMG this is so cool! This looks AMAZING! I bet you had fun putting it together! This is so cool! Love it!! Perfect container for this candy. I like your choice of papers. OMG this is such a cute rocket! I so so love the patterns you used! AMAZING !!! love all the little details you added soooo freaking cute ! Seriously awesome box! The papers, embellies, everything is perfect! Jaded Blossom's Challenge :: Celebrate!